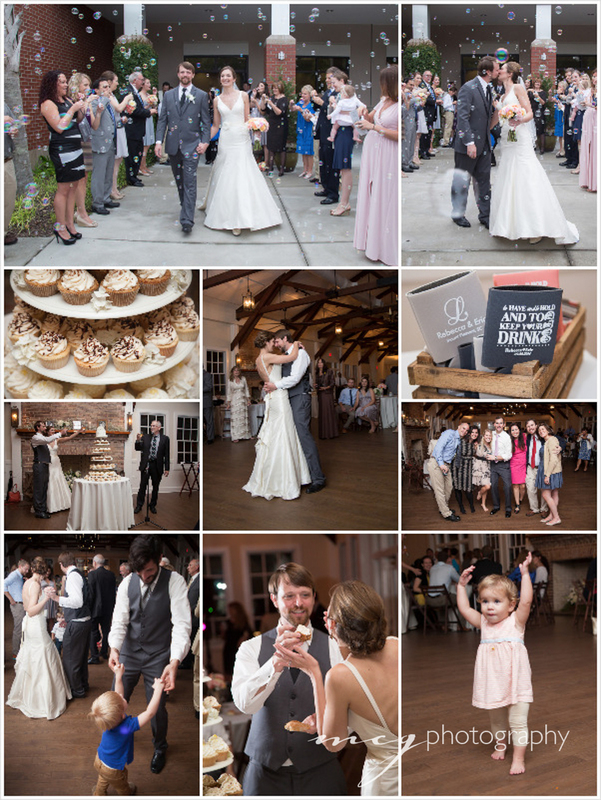 Rebecca + Eric: Locals having a simply southern wedding. 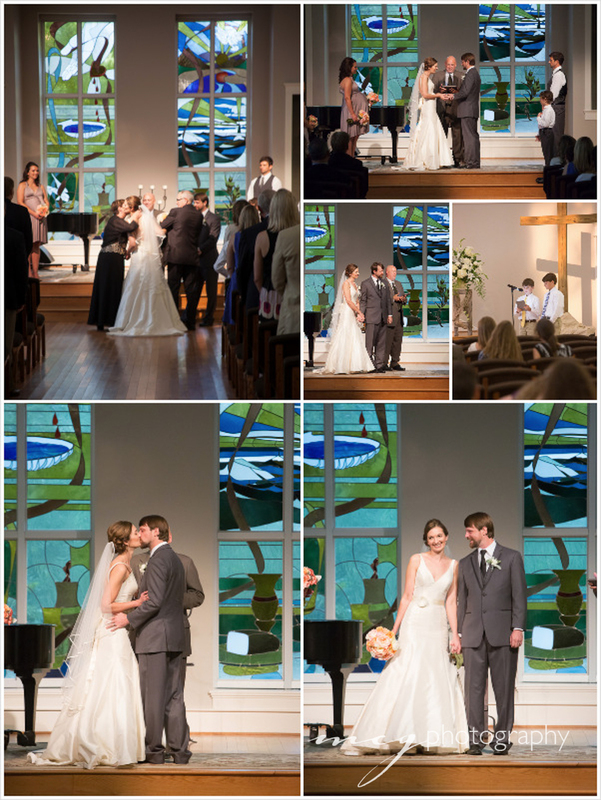 Rebecca and Eric exchanged vows at Seacoast Chapel. The colorful stained glass made for a lovely backdrop. They exited the church to friends, family and bubbles. Their Alahambra Hall reception utilized the lawn overlooking the river with games and gathering before heading into the hall for dinner and dancing. Personal touches included hand sketched art of Rebecca and Eric by Eric, cupcakes by Jacquelyn Story and delicious offerings from Hamby’s. Their color palette of gray, ivory and peach perfectly matched this kind, quiet couple.